Do you wish you had the Petpet Rescue avatar but don't feel like you have the knowledge or the skills to earn it? Have you played the game, over and over again, only to become so enraged that you could scream? And what's the difference between a stalactite and a stalagmite?! Initially, Petpet Rescue may appear to be an easy game, but don't be fooled by its simplicity – it can be surprisingly difficult to master. In this article, my intention is to deconstruct the game into a step-by-step level guide (with tips) for you to use in pursuit of the avatar. Objective: Your role in this game is to play as Samuel, red Scorchio and petpet crusader, whose mission is to save all of the petpets imprisoned by the nasty Gargrall in an underground ruby mine. In each level, you have 99 seconds to liberate as many petpets as you can using mine carts as stepping stones to cross spans lava. At the same time, you must evade rolling boulders and falling stalactites. Lose all 4 lives and it is game over! Each petpet is worth 10 points no matter what species it is. There is no time bonus, but there is a 25 point bonus for completing each level. Controls: The controls in Petpet Rescue are fairly straight-forward: move up, down, left, right, and diagonally with the arrow keys on your keyboard. Be careful; the controls are sensitive! To save a petpet, simply pick it up by moving on top of it and bring it back to where you started. You can only hold one petpet at a time. I find it helpful to play on large screen so everything is easier to see. You can also try muting the background music if it bothers you and lowering the quality if the game if it lags. There are 1-4 gems per level. On level 1, you will find purple gems on the other side of the lava. These gems are worth five points each. In level 2, there are gems on both sides of the lava. You will find blue gems, worth ten points, as well as the purple gems. Level 3 is the same as level 2, but with the addition of green gems, worth 15 points. In level 4, there are purple, blue, green, and the elusive red gems. Red gems are rare, but if you're lucky enough to find one, you will get an enormous 25 points! Stepping on and off mine carts can be tricky because the controls are sensitive. You must be precise in your movements to avoid over-stepping or under-stepping. To save time, try to move continuously through the rows of mine carts whenever they are lined up. This is an essential skill to master, especially on level 3. After an opening in the boulders appears, hold down the up (or down, if you're returning with a petpet) arrow key and press left and right as needed. This will allow you to dodge them while simultaneously moving toward your goal. When a stalactite in the row at the top of the screen is ready to fall, it will wiggle as a warning sign. However, there is no way of knowing when it will fall, and sometimes it will never fall at all. Try to avoid being directly underneath it whenever possible as a precaution. Although you have only 99 seconds to complete each level, it is vital that you don't rush. If you run out of time, you will lose one life, return to the starting point, and the timer will reset. However, the game does not reset the amount of petpets you need to rescue. It is much better to lose a life because you ran out of time than to lose all of your lives because you were rushing! Once you get the controls down and have practiced a bit, you may find yourself mindlessly playing Petpet Rescue and losing many lives in doing so. It's also easy to get frustrated and lose tolerance of the game. However, it is important to be alert at all times in case you suddenly need to dodge something (a falling stalactite, for example). No surprise here! Like any other game, Petpet Rescue requires practice if you want to get a high score. Be patient and don't lose hope if you get low scores at first. If you're not a beginner, I'd recommend restarting the game if you lose a life on level 1. To start off, rescue the one or two petpets closest to you. There is no need to hurry in this level, 99 seconds is plenty of time to rescue 4 petpets. Then, cross the lava via mine cart to get to the other side. Here you can carefully collect all of the purple gems while avoiding boulders. There are more mine carts and lava beyond this point, but there is no reason to go there unless you run out of petpets nearer to you. There will never be gems past the first two land masses until level 4. 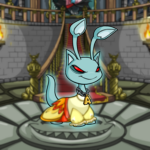 Now rescue a few more petpets and get ready for level 2! The first thing you'll notice on level 2 is that there are now rows of rolling boulders on the side that you start on as well as the other side. Always wait for a gap to appear before passing through them. Collect the gems near you (if there are any) and the petpets closest to you. It is important to pick up the petpets nearest to you first so that you can pick up a petpet farther away when you get gems on the other side. This will save you several unneeded trips across the lava. Otherwise, you may travel all the way to the other side while carrying a petpet from near the starting point, which will end up wasting valuable time. Continue on as you did in level 1 by checking for gems across the body of lava. Carry on salvaging petpets while watching out for boulders and stalactites at a steady pace – don't worry if you run out of time and lose a few lives. On average, I usually have about 180 points at the beginning of level 3. When you begin, you'll notice again that there are 4 rows of boulders blocking your path, but this time they are more abundant and harder to pass through. Watch them for a few seconds before you start until you recognize the pattern of which they roll and where the openings will occur. It is very useful to move diagonally through them. Start off just like level 2 by collecting any gems around you (you can find purple, blue and green ones now) and rescuing the closest petpets. As previously stated, always pick up the petpets closest to you first so that you can pick up a petpet farther away on your trip to get the gems. Now it is time to journey all the way to the other side of the vast expanse of lava! Move carefully and keep a keen eye out for stalactites. If you lose a life here, don't panic. Panicking almost always leads to more lives lost. Try to stay calm and collected, but also alert. When you finally reach the other side, gather the gems if there are any, and then continue recovering petpets for as long as you can. Even for people who are very skilled at Petpet Rescue, it is hard to beat level 3. In level 4, you will need to rescue 12 petpets, and there is an addition of the red gems. Because I personally have never completed level 4, I'm going to end the walkthrough here. Now that you've finished reading, you're ready to start playing Petpet Rescue! This guide can only bring you so far in your quest for the avatar; it is now up to you to practice. Good luck and have fun playing!